This documentary throws desperately needed light on the practices of a relentless multi-billion dollar marketing machine that now sells kids and their parents everything from junk food and violent video games to bogus educational products and the family car. Drawing on the insights of health care professionals, children's advocates, and industry insiders, the film focuses on the explosive growth of child marketing in the wake of deregulation, showing how youth marketers have used the latest advances in psychology, anthropology, and neuroscience to transform American children into one of the most powerful and profitable consumer demographics in the world. 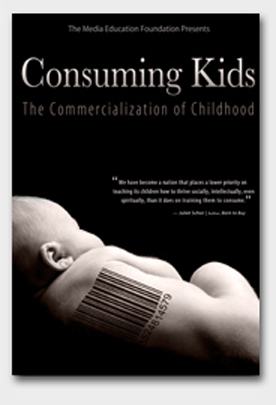 Consuming Kids pushes back against the wholesale commercialization of childhood, raising urgent questions about the ethics of children's marketing and its impact on the health and well-being of kids.